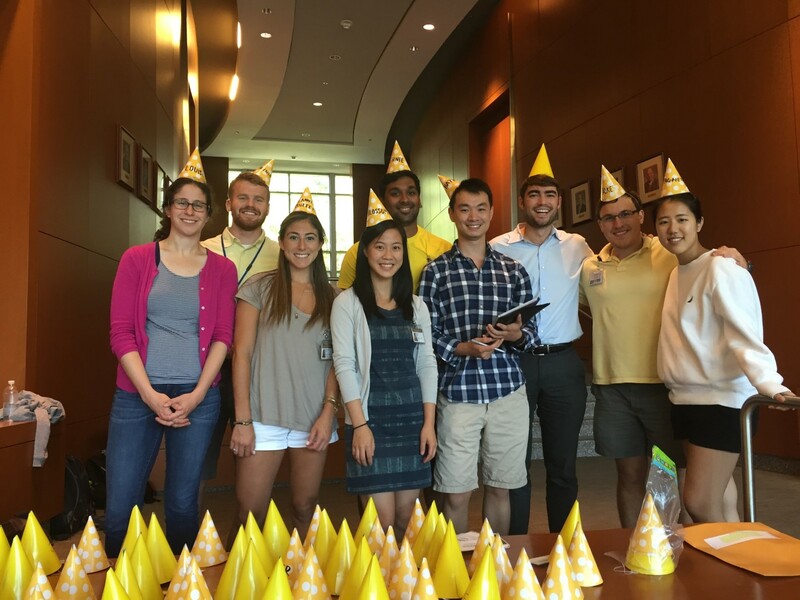 Focusing on small-group learning and increased interaction with faculty, you are immersed in clinical experience from the very beginning. 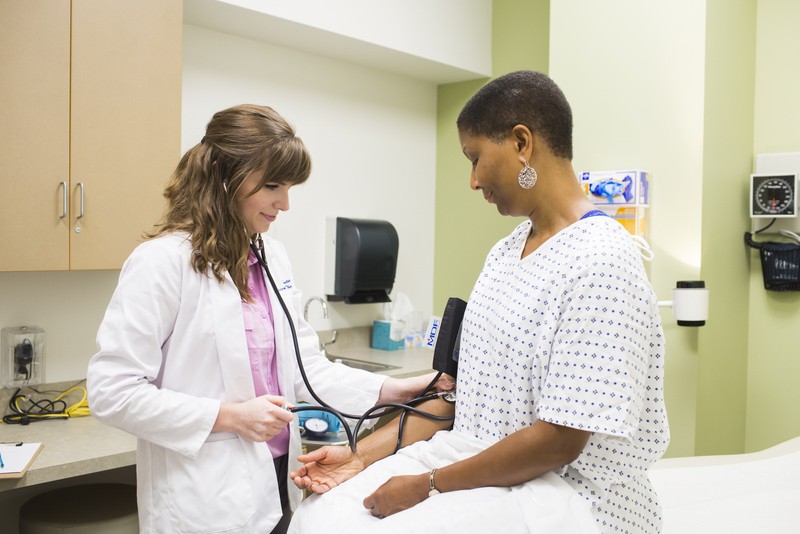 A multitude of clinical sites provide students with extensive training in patient care, including an outpatient experience that begins early in the first year. A five-month Discovery period allows time for clinical or bench research, or other academic inquiry. 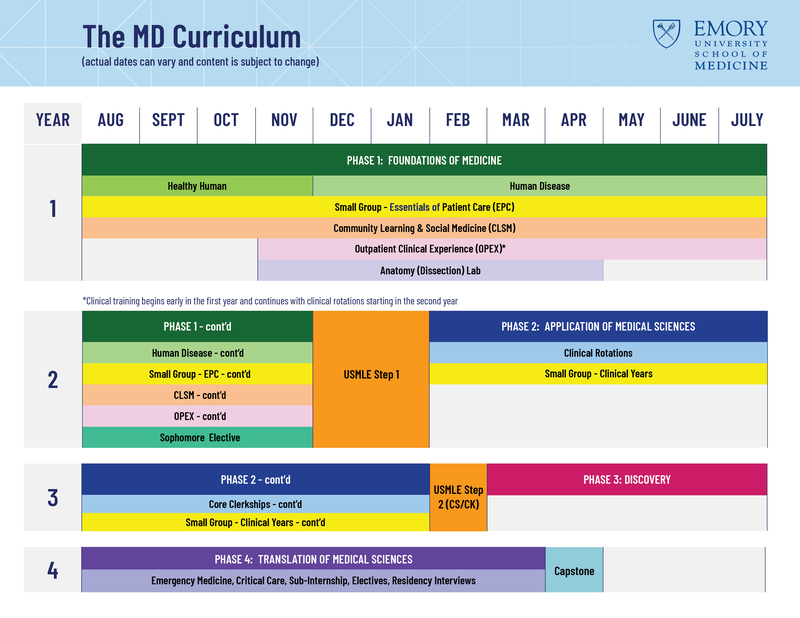 The MD curriculum was designed by the faculty and student leadership in keeping with the following desired characteristics of Emory School of Medicine graduates. 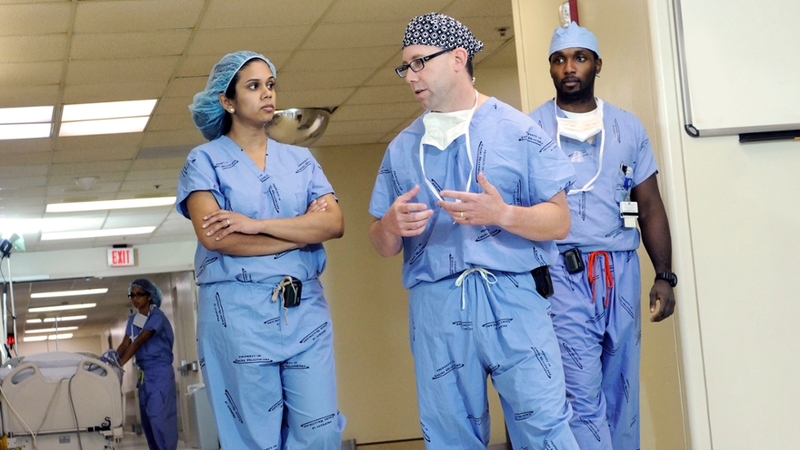 You learn clinical skills in a wide variety of clinical environments. Students first learn basic communication skills within their small groups.